Caribbean Lifestyle Media-J-Boog may not sound familiar to you, however, that depends on where in the world you are reading this. We first published information about J Boog's collaboration with Richie Spice back in January. J-Boog born Jerry Afemata and with a father who is the chief of the family village in Aloa, Samoa is deeply rooted in his culture. In 2008, J-Boog met Gramps Morgan of Morgan Heritage and went to Jamaica to record with the likes of Bob Marley's "Tuff Gong" Studio, Don Corleone's "Hit Maker", Bobby Digital's "Digital B", Shaggy's "Big Yard", Sugar Minott's "Youth Man Promotion" and more. The results are apparent when listening to Boog's new album. It is authentic Island Music and genuine Jamaican reggae at the same time. Truly a new and exciting combination. J's new album features some reggae giants like Richie Spice, Tarrus Riley and Morgan Heritage. We contacted Don Corleon to get a snapshot of J Boog's recent success around the world. Corleon told us, Boog has 3 number 1 tunes on Itunes Reggae charts in Japan, Australia, and New Zealand. His single is on US Reggae singles charts in top 20 for 2 months now ,we just drop his new song waiting on the rain and it has been received well it has reached number 4 on itunes Reggae charts in US and is number 2 in new Zealand , and we have another song to drop next year. 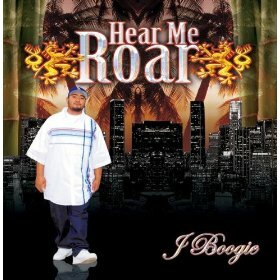 Purchase J-boog 'Hear Me Roar and new single 'Waiting on the rain' produced by Don Corleon.